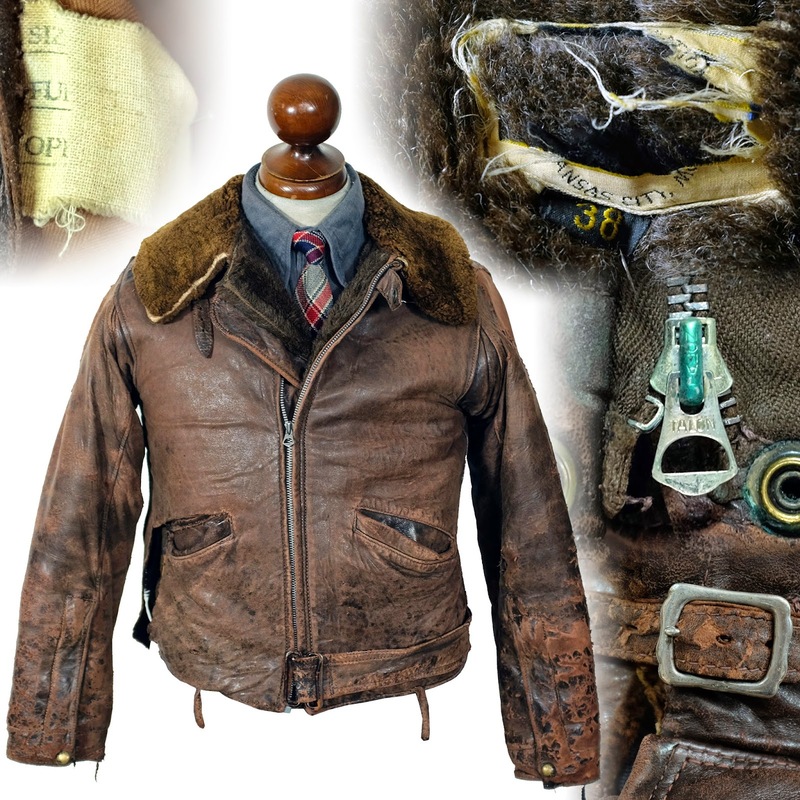 This one combines hair on cowhide with that other staple of western style leather jackets: deerskin. 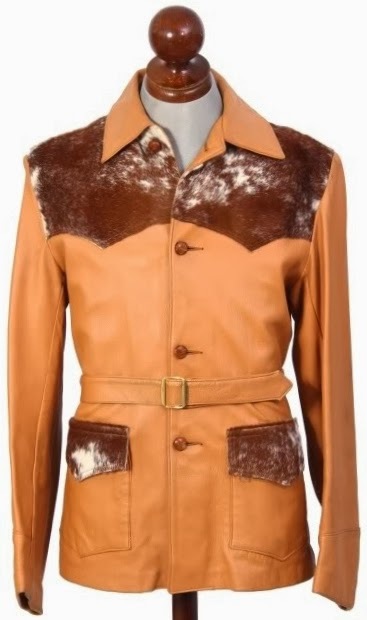 There were no makers tags on this jacket, but it's probably safe to say that it came out of one of the many leather shops in Wisconsin making deer jackets. 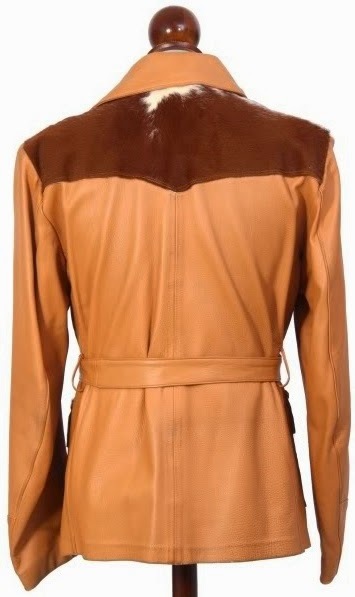 Deerskin or buckskin is always a hit or miss kind of leather for me. If well done, it's a soft, durable, attractive leather. But I have had too many examples that were poorly tanned where the finish flakes off in patches. The light colors it is generally tanned may put some people off, as do the Davy Crockett and/or hippie fringe styles the hide is generally associated with. But it can just as easily be made into a half-belt, as seen here. And it can be dyed like any other leather into a variety of colors.